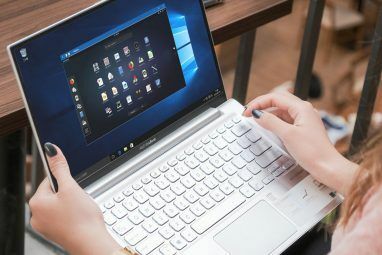 Linux may have more than one desktop environment, but if you’re making the switch for the first time, GNOME is the one you’re most likely to encounter. It’s the interface embraced by many of the most popular Linux operating systems (“distributions”), such as Ubuntu, Debian, and Fedora. GNOME is pretty easy to figure out. We’ve provided a general explanation of the desktop GNOME Explained: A Look at One of Linux's Most Popular Desktops GNOME Explained: A Look at One of Linux's Most Popular Desktops You're interested in Linux, and you've come across "GNOME", an acronym for GNU Network Object Model Environment. GNOME is one of the most popular open source interfaces, but what does that mean? 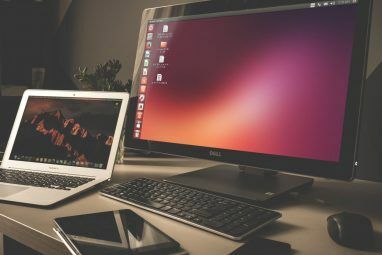 Read More and our beginner’s guide to Ubuntu Ubuntu: A Beginner's Guide Ubuntu: A Beginner's Guide Curious about Ubuntu, but not sure where to start? Everything you could possibly need to get started with the latest version of Ubuntu is right here, written in easy-to-understand, plain English. Read More goes even more in-depth. But once you know how to use GNOME, and especially if you’ve already been using it for years, you’re going to want to know about the latest apps to check out. Here are some of the creations you’re going to want to keep an eye in the coming months. Audiobooks sound great from a desktop. One can easily fill up a room, allowing you to relax on the couch or a bed while reading with your eyes closed. But you need an app to make the magic happen. Cozy is a young and simple little app for the job. It can import your files and contains a search function that makes them easy to find later. On the downside, this isn’t one you’re likely to find in your Linux app store Linux App Stores Compared: Which One Is Right for You? Linux App Stores Compared: Which One Is Right for You? Windows users are being guided to an app store. macOS has had one for a while. Linux, meanwhile, has had an app store-style experience for years. But which one is right for you? Read More just yet. If you’re an Ubuntu user, the developer has been kind enough to provide a DEB. With streaming music and video services popping up regularly How to Pick the Best Music Streaming Service for You How to Pick the Best Music Streaming Service for You Do you use a music streaming service? If so, how do you know you're using the best one for you personally? Read More , you could very easily live your life without ever clicking a local media file on your desktop. But when you are interacting with them, formats can still be a issue. Some devices will only play a specific type. Maybe your video or audio editor only provides you with a few export options. Whatever the reason, you need to convert one format to another. Media converters make this job simple. I’m fond of Sound Converter (a straightforwardly named app), but it has never been updated to fit the modern GNOME style. Curlew is a new alternative that does just that. Linux veterans can think of Curlew as a pretty face for FFmpeg, an immensely powerful command line program. Geary is by no means a new app, but after its original creator the Yorba Foundation went under, the app spent a year growing stagnant. Now it lives on as an official GNOME project, and it’s again seeing new releases. Version 0.11 came in May of 2016. Version 0.12 arrived in October. While Thunderbird and Evolution are more well-established email clients, Geary is the only one that feels like it belongs on the GNOME desktop. Geary has been my go-to email client for years, but there are still a few kinks to work out. This is one project I continuously keep tabs on to see how it matures. I’ve never used Twitch, and I’m not going to pretend otherwise. The entire trend of watching other people play games online has largely gone over my head. But Twitch is huge How Twitch and Streaming Have Changed Video Games for Good How Twitch and Streaming Have Changed Video Games for Good Video game streaming on Twitch and the upcoming Microsoft Mixer service is a wildly popular activity. But could this affect gaming as we know it and shape a new generation of gamers? Read More , and if you’re going to visit the site from a Linux PC, turns out there’s an app for GNOME for doing just that. GNOME Twitch saves you from having to open a browser or use flash. The interface lets you browse by channels, favorites, or games. If you want to check it out, there are instructions for a number of distributions, and the app is also available as a flatpak. For the uninitiated, gThumb is an image viewer, not a photo manager. Nonetheless, this is my go-to GNOME app for viewing all of the images I capture with my camera. gThumb loads quickly, and it fits in better with other GNOME apps than Shotwell, which seems to be the go-to photo manager these days. The app has been around for quite a while, but updates are still rolling out new features. The gThumb sidebar displays your computer’s file structure as it is. That means if your photos are arranged in a mess, they will be difficult to find in gThumb. While the app supports catalogs and tags, you’re going to need another app to do the work of actually organizing the name and location of your images. For that, I turn to Rapid Photo Downloader, even though it doesn’t match GNOME human interface guidelines The Differences Between Linux's Human Interface Guidelines The Differences Between Linux's Human Interface Guidelines Ever encountered a Linux app that looks ugly and seems unusable? It's why desktops have human interface guidelines. Windows and macOS have these guidelines. What about Linux? Read More all that well. This one has been around for a few years, but it’s one of the best alternatives to Rhythmbox and GNOME Music that feels right at home on a GNOME desktop. Lollypop sticks controls, playback location, a search button, and more all in the header bar. You can view your albums in a grid and easily change art for those that don’t automatically import or download an image. Lollypop lets you load information on artists and pull up song lyrics without leaving the app. This is also a way to sync your music with an Android phone or other MTP capable device. The GNOME Sound Recorder app does a good job of recording what you speak into a microphone, but it’s a decidedly basic piece of software. If you regularly conduct interviews or make audio notes for yourself, you could benefit from an app geared towards transcribing recordings. Parlatype lets you save timestamps, makes it easy to delete lengthy silences, and works with any audio file that GStreamer supports. Then you can transcribe text into your text application of choice. A download is available as a flatpak. Love GIFs? Hate them? Are you actually ambivalent? No matter. You may have found yourself in a position when you need to make one. For such a prominent format, finding a desktop app to do the job isn’t as straightforward as it seems. For GNOME users, Peek is an app to have around. Peek makes the job simple. Guide the app window to the part of the screen you want to capture and hit the record button. When you’re done, you’re not even stuck with GIF. WEBM and MP4 are also options. More of us may be sharing videos online, but often enough, you need to edit footage offline before it’s ready for the broader world. Linux has a number of suitable options. Pitivi may not be the most feature complete, but it looks great on GNOME and sees regular development. The Pitivi team is working hard now to prepare the video editor for its big version 1.0 release, thirteen years after the app’s initial launch. A test version is already out as a flatpak Ubuntu Snaps vs Red Hat Flatpaks, What's the Difference? Ubuntu Snaps vs Red Hat Flatpaks, What's the Difference? Linux distros distribute apps in many formats. For years, the two most popular have been .debs and .rpms, but this may be starting to change with Ubuntu's Snap packages and Red Hat's Flatpak. Read More , so you’re welcome to get your hands on what will become 1.0. The team wants to crush as many bugs as possible to make this a stable release. But lest you think that’s all that’s going on, work on 2.0 is also underway! There are quite a few audio manipulation apps for Linux, but most of them don’t exactly look at home on GNOME. This is the case even for apps written in GTK, such as Audacity and Ardour. PulseEffects is an exception. This is an audio effects and equalizer app that shows how complex GNOME software can be. PulseEffects is a compressor, equalizer, input limiter, and reverb. It uses PulseAudio, the sound server your Linux desktop is most likely using. This enables it to modify the sound coming from any app you’re running. You can manipulate or all sound, or do so on a per-app basis. You can find the app on Flathub. 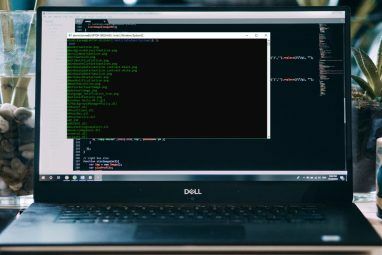 Someone’s always working on something in the Linux world, but with so many different Linux desktop environments Which Linux Desktop Environment Best Suits Your Personality? Which Linux Desktop Environment Best Suits Your Personality? What kind of computer user are you? Do you leave icons scattered across your desktop? Do you prefer to work in one uncluttered application? Let's find out which Linux desktop environment suits you best. Read More out there, that effort is spread across many areas. New software is consistently coming out, but that doesn’t necessarily mean someone is working on an app with your desktop in mind. Apps designed for GNOME tend to look out of place on other desktops, limiting who might use them. A lot of developers like their software to look consistent not just across the various Linux interfaces, but on Windows and macOS as well. Still, I find I have the most pleasurable experience using software made with a particular desktop environment in mind. When using GNOME, I try my best to use apps that fit the desktop’s look and feel. I rather like the GNOME way of doing things. What are your favorite GNOME apps? What GTK apps do you wish would adapt to GNOME’s guidelines? 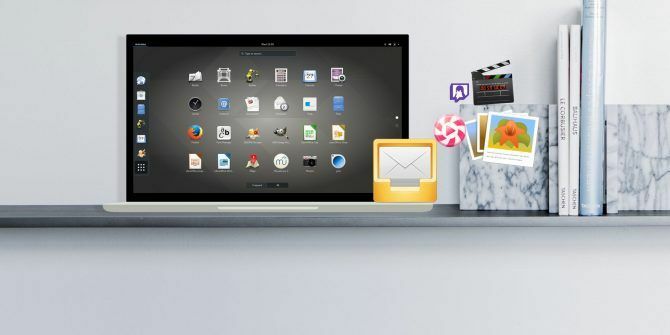 Which Linux apps must you always have, regardless of the desktop environment? So many (all?) of the apps described here for GNOME, are also in other Linux operating systems. In particular, Android types, running on my smartphones. When I read, etc on this PC, I simultaneously use the smartphone.